I have watched mismanagement played out on a micro and macro stage recently. 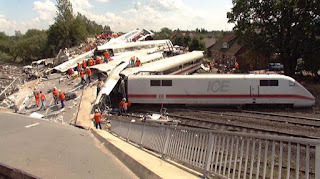 On a micro level – in businesses I know - I have watched train crashes develop in slow motion as ill chosen words in e-mails have provoked anger and then irreconcilable differences, resignations and recriminations. I suspect social media and digital communication may be responsible for more current catastrophes than anyone realises. Recently exposed e-mails from within Oxfam make the point. Most e-mails are poisonously incautious. On the bigger world stage it’s fascinating that we seem to have collectively embraced a need for the “smack of firm government” … a concept which seems closer to the relationship of the egregious Jacob Rees-Mogg and his nanny than anything else. What is it that makes Putin, Erdogan, Macron, Trump, Xi Jinping and yes even Kim Yung Un so appealing to so many? Why do people admire dictators or leaders who, with the exception of Kim Yung who is a ‘monarch’ by inheritance, emerge from nowhere. 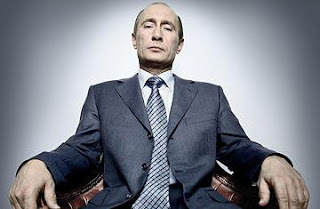 In a recent TV programme ‘Putin; the New Tsar’ the question is asked how a poor boy from a tiny flat in St Petersburg was transformed into an untouchable dictator and the richest man in the world through breath taking kleptocracy? It didn’t answer that question by the way. Is it because we’re secretly drawn to nasty people that so many monsters succeed? How did Hitler do it? From the “cowardly pig” corporal that fellow soldiers in the first world war allegedly called him, to Supremo Nazi nightmare. Although apparently he was fond of dogs so he wasn’t all bad then. Putin likes dogs too as he showed by introducing his huge labrador to dog-hating Merkel –nice one Vladimir! The better news is that such rotters are being ousted – Gadaffi, Sadam Hussein, Mubarak, Robert Mugabe and Jacob Zuma. But the cost of their removal is considerable. 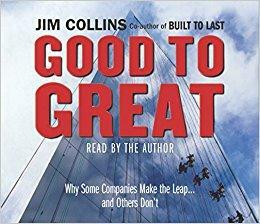 Jim Collins in a legendary book about leadership “From Good to Great” (2001) wrote about what he called ‘Level Five Leadership’ where humility and fierce resolve triumphs over egocentricity. Leaders who are great listeners and coaches are what we need not loud-mouths. So do we need more women at the top? Lady Barbara Judge - ironically named following her management misjudgements leading to her departure from the position of Chair of the IOD – suggests not. She sounded tough and rough-talking like most alpha men wielding the managerial mace and chain. No, what we need are more good people to run our lives. Kind, well mannered and selfless people. The idea of thieves and thugs being in position of great power may appeal to the students of great dictators like Timur the Lame, Genghis Khan or Bonaparte but is clearly barmy. Not everything in life is about winning. It’s about doing things well and collaboratively. And it’s about setting a good example. Nearly all the mistakes in history are made by creating needless offence. 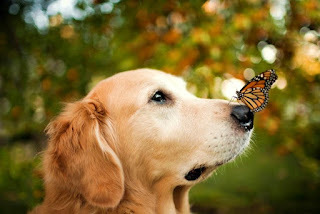 Gentleness is a great art. Don’t underestimate it.